Kendall Jenner Has a Fashionable Friday with Bella Hadid & More! 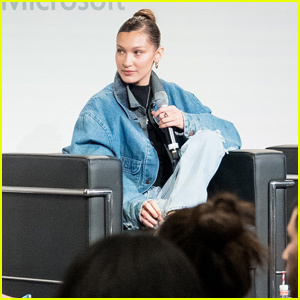 | Bella Hadid, Hailey Baldwin, Justine Skye, Kendall Jenner | Just Jared Jr.
Kendall Jenner Has a Fashionable Friday with Bella Hadid & More! Kendall Jenner and Bella Hadid are enjoying everything the Big Apple has to offer this weekend! The fashionable friends were joined by Hailey Baldwin and Justine Skye for a fun night on the town on Friday (January 26) in New York City. Kendall, Bella, Hailey, and Justine were all looking chic and stylish while out for dinner during their night out. Earlier in the week, Kendall was at the Clippers game in Los Angeles to cheer on her boyfriend Blake Griffin from courtside seats.